The mountaineering industry in the Himalayas is built on the support of local staff. Their jobs carry great risk as they assist climbers to scale the world's highest peaks. 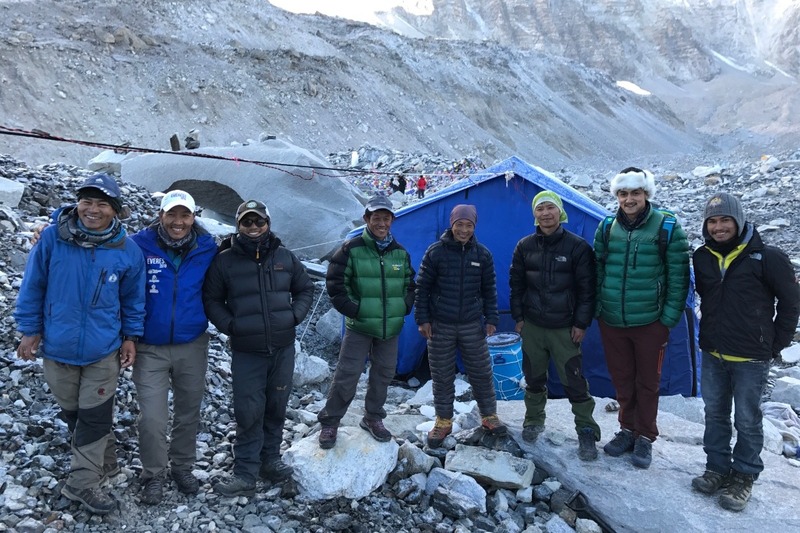 On Mt Everest, for instance, a third of all deaths on the mountain are climbing support staff (guides, camp staff, porters etc.). In most cases these people are principal "bread winners" so when tragedy strikes it has a very deep flow on effect to family members left behind. The Juniper Fund , is a not for profit 501(c)(3) organisation that has been set up specifically to provide support to these families. My name is Ella Horn and in April I will be climbing to Everest Base Camp with my Dad. 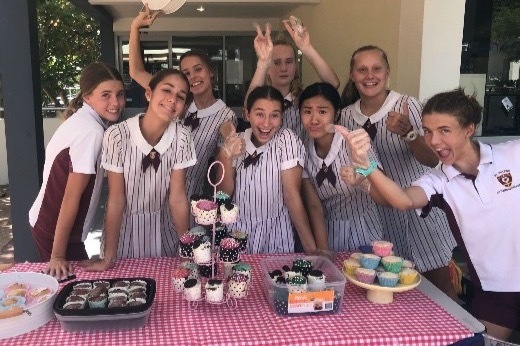 I am 15 years old in Grade 10 at St Peters Lutheran College in Brisbane, Australia. 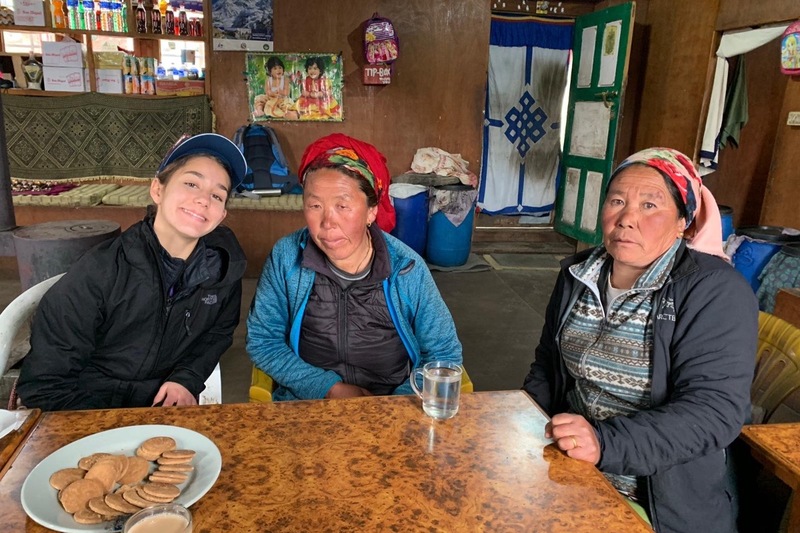 It is a great privilege to be afforded the opportunity to trek to Base Camp so I want to make the most of it by raising money and awareness for the Juniper Fund. 100% of all donations will go to the Fund which will directly impact the families in need of our support. The GoFundMe platform will not facilitate direct donation to an international bank account so I have invited, Annie Keys (my Mum), to act as an intermediate for the funds. 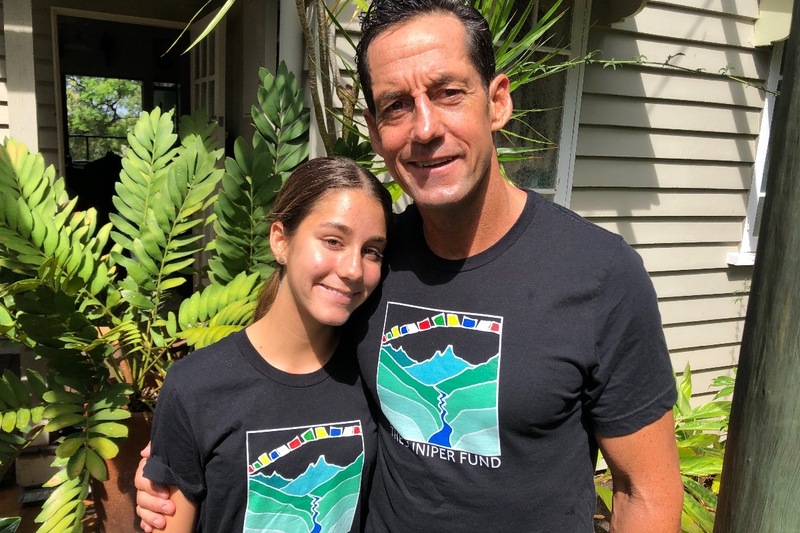 She will accept the donations from GoFundMe into a nominated Australian bank account and then make a single transaction into the Juniper Fund account for distribution to the Sherpa families. We will let you know when this has happened. I would be extremely grateful for any funds donated no matter how small! 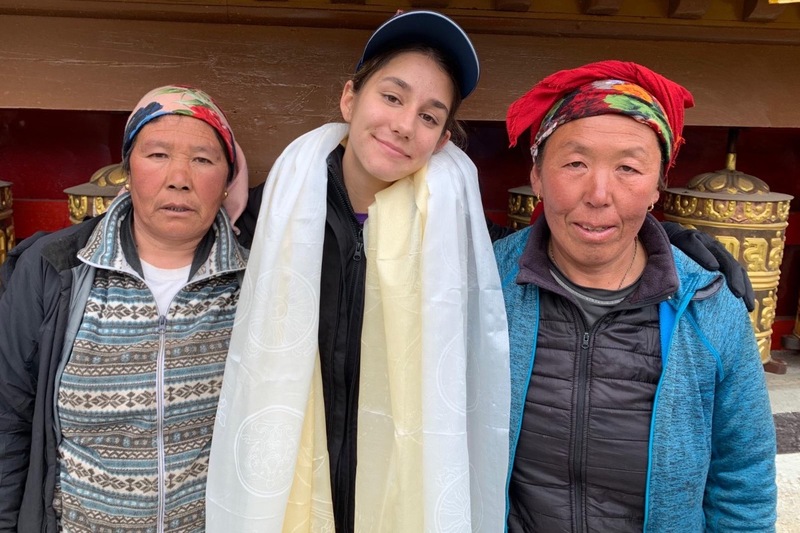 It was an emotional visit and an honour to meet these ladies in Khumjung. Ella meets Da Doma and Chanji Sherpa in Khumjung Gompa. Da Doma lost her husband in the 2015 earthquake and subsequent avalanche in Base Camp. Chanji lost her son in the Khumbu Icefall avalanche in 2014. She now raises her grand-daughter Pasang who was 7 months old at the time. These families are supported by The Juniper Fund. 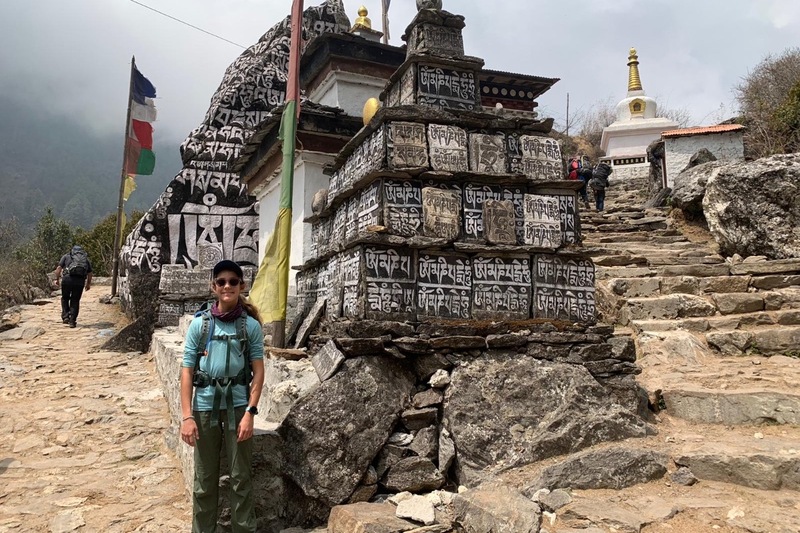 On the trek to Namche. 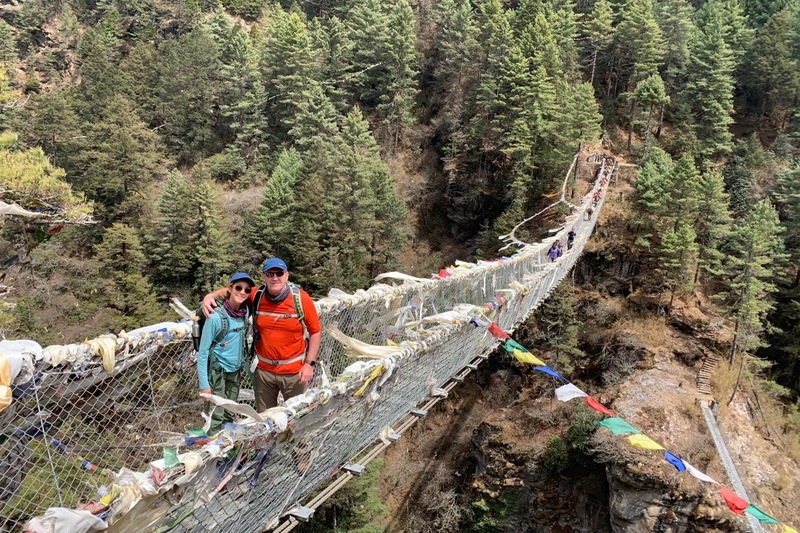 This is the bridge in the Everest movie.